Post Updated : April 15, 2019. The Life Enrichment Options (LEO) Organization is building Adult Family Home (AFH) #4 in the Snoqualmie Valley. The big news is that the LEO Board of Directors approved the construction budget on April 3, 2019. And Groundbreaking is scheduled for Wednesday, May 1, 2019 at 4PM. And the permitting is completed. And LEO has secured a Building Contractor. And the small old house circ. 1932 and garage on the lot have been demolished. The utility connections near the street for the sewer, power and water are being completed. Some minor changes were made to the home plans. The driveway to the garage will now be on the right side of the house, so the garage door will be on that side too. 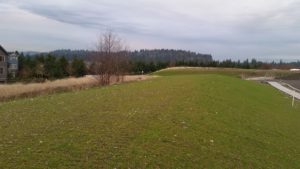 Many LEO supporters live in Snoqualmie Valley, which includes North Bend and the City of Snoqualmie, and they have dreamed of this project. 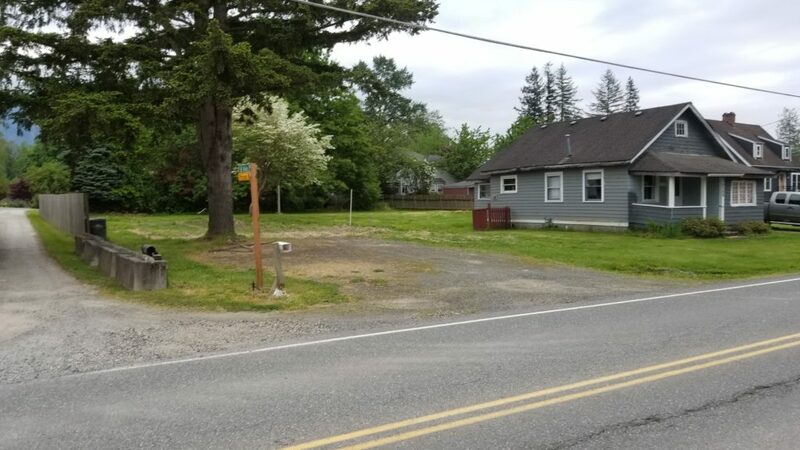 This LEO home for individuals with developmentally disabilities will be located a few miles from the historic downtown district of Snoqualmie on property that LEO purchased in November 2016 on 384th AVE SE as a temporary rental and future AFH site. LEO Houses #1, #2, and #3 were named after three women that devoted years to the LEO mission: Rose Finnegan, Ann Dennis and Angela Dews. Keeping that tradition, LEO Adult Family Home #4 in Snoqualmie will be named the “Nancy Whitaker House”. Nancy is a former President of Encompass Northwest, and 22-year member of the LEO Board of Directors. She is an amazing person, who has donated her time and skills while serving on many LEO committees and volunteering at many LEO events, like the Challenge Race Series, Executive Committee, Fund Development Committee, Outreach Events and more. LEO wants each home to support the needs of its residents and the live-in Care Provider. “The Nancy House” floor plan contains 6 downstairs bedrooms for residents (see floor plan diagram). The apartment-like upstairs for the Care Provider has 2 bedrooms, bathroom, kitchen, small dinning-living area and storage room. There is also a two-car garage with a storage area. 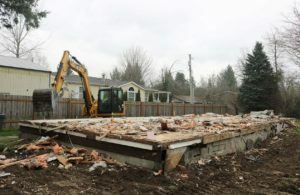 The projected opening date for “The Nancy House” actually depends on donations to complete the home and those who help with the physical construction of the house. This is often accomplished by skilled individuals willing to volunteer time, or work for a little less, to help a great cause but also may have other priorities. LEO is getting closer to realizing our dreams of providing a new home for adults with developmental disabilities. As you may know all LEO houses are built with private funds via donations. If you would like to help us fund the construction and furnishings for this new Adult Family Home, please Make a Donation. Thank you for your support. And check back here for updates on the construction. The Life Enrichment Options (LEO) Organization is now preparing for Adult Family Home (AFH) #5 in the Issaquah Highlands. 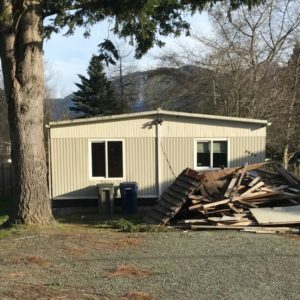 This new LEO home for individuals with developmentally disabilities became a real possibility in June 2017, when the Issaquah City Council proposed and approved additional affordable housing on a new home development area called Westridge. The revised plan for Westridge includes 38 “Affordable Housing” units and one detached Life Enrichment Options (LEO) House on a vacant site to be built by Polygon Northwest. Amazing! The LEO Lot is at the corner of NE Ellis Drive and Westridge Way NE (initially named 6th Walk NE). See the pictures below. The picture of the lot for the new LEO house is a view looking north. The LEO Adult Family Home #5 will be built to the specifications for an Adult Family Home for LEO and at a greatly reduced price, but still expensive for a non-profit like LEO. The floor plan and exterior style of this new home will be very much like the other LEO houses. The construction site is now known but the construction start date has not been announced. As you may know all LEO houses are built with private funds via donations. If you would like to help us fund the construction and furnishings for this new Adult Family Home, please Make a Donation. At this time LEO is still far from reaching the large financial goal needed for this home. Thank you for your support.